The sun has barely broken the horizon, and the forest is already alive, filled with the noises of the wilderness of the Olympic Peninsula. Under the canopy of towering cedars and firs, an orchestra of noise starts to play when the first rays of light begin darting between blades of ferns. With more light comes more noise, as the natural soundtrack reaches a fever pitch crescendo, drowning out the rivers and waterfalls nearby. Without warning, the music dies down, replaced with an eerie near-silence in the early morning mist. Between bird calls and bugling elk, the forest now has a faint bass drum, banging out a steady thump, thump, thump, thump on a remote trail in Olympic National Park. In a flash, Korey Konga passes, running to yet another awe-inspiring destination in the wilderness of the Pacific Northwest. Korey is a trail runner. Five years ago, Korey was not a trail runner. Five years ago, he was just starting to run, hoping that running would help him quit smoking and drinking. Within three months, he ran his first half marathon and within a year, he was running ultras. Two years after he started running, he was finishing and winning his first 50-mile trail race. Last year, he placed second at the Capitol City Marathon in 2:41, and then a month later he won the Beacon Rock 50K. The race has 7,500 feet of gain and loss, which Korey crushed in 4:32. 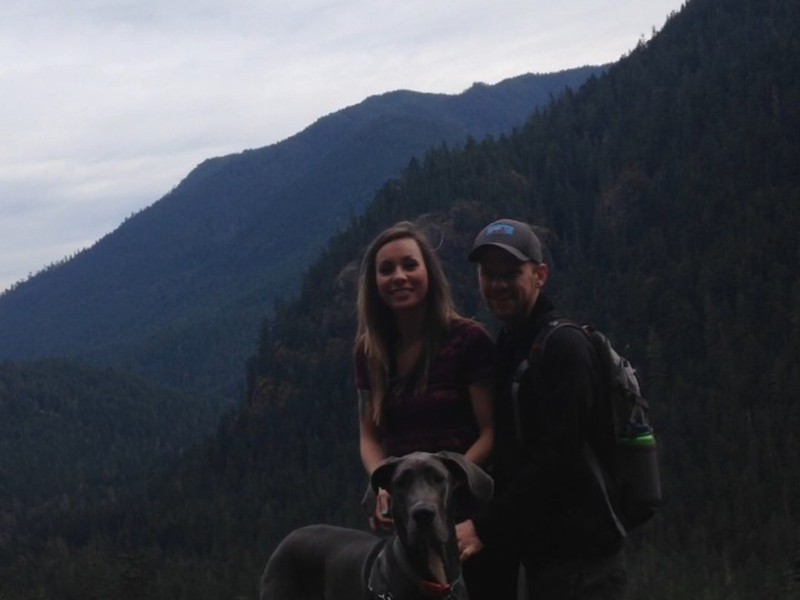 While many would brag about such feats of feet, Korey is humble, down to earth, and appreciative of every moment on the trails and in the wilderness of the Pacific Northwest and the Olympic Peninsula. The area means so much to him that he even got engaged near the beaches of Kalaloch. “Imagine a place that feels the exact opposite of sitting in rush hour and stressing about bills on your way to your corner office job. A place where only meeting the moment matters. A place where nothing exists except for you and what’s around the next bend. Whether it’s single track or ancient, moss-covered old growth or rushing rivers or cascading waterfalls or wild flowers blooming in high alpine meadows or sharp, craggy, snow-capped peaks. A place where you can be a part of the world and how it was when it was simple. A place where you can feel the meaning of home deep in your bones. That’s what it’s like to me,” says Korey. 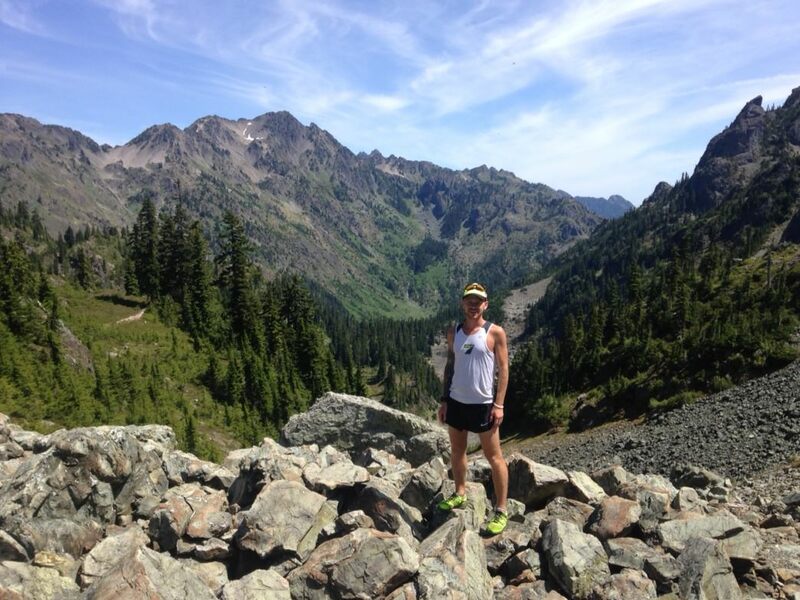 To Korey and other runners, the trails of the Olympic Peninsula hold a deep connection to a long forgotten world. The backcountry trails in the Olympics are often described as a wild and beautiful place, untouched, and mostly uncrowded. Solitude is possible and often expected, with numerous trails rarely hiked each year, waiting for a trail runner to come and explore them. The diversity of trails in Olympic is staggering. 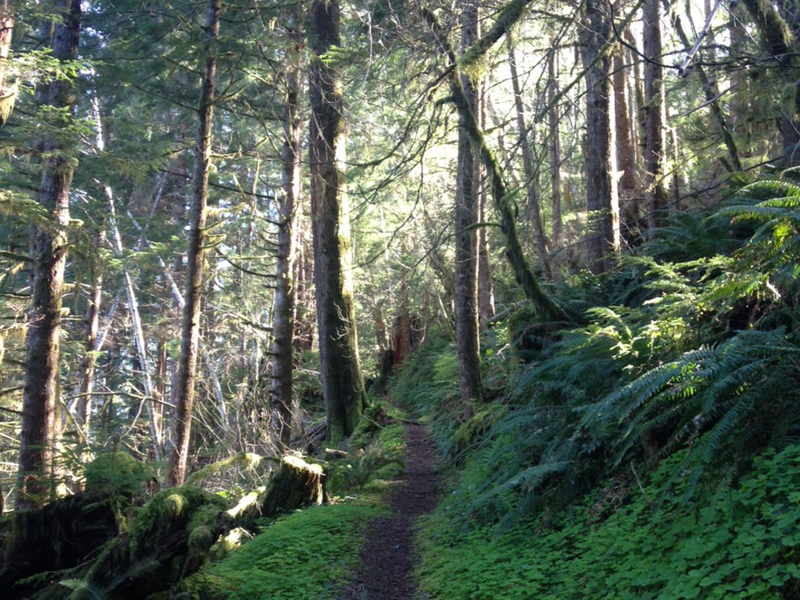 It's something that can be best appreciated by covering dozens of miles in a day, making trail running an ideal way to explore the 900+ miles of trails in both Olympic National Park and Olympic National Forest. From rainforests to high alpine lakes, to ridgelines, mountain tops, rivers and beaches, the Olympics have it all. The difficulty is deciding on a trail. 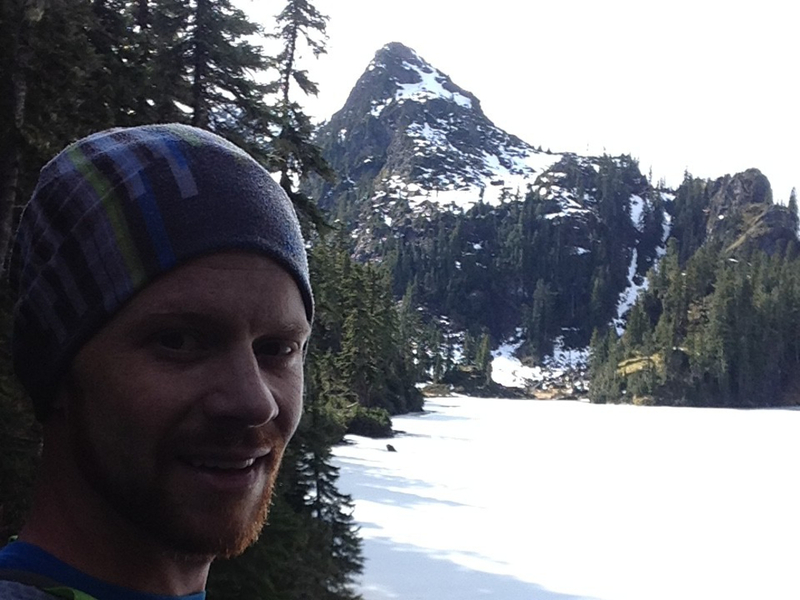 Korey, who logs more miles than he cares to share, has many favorite trails in the Olympic trail system. While there is not a place he doesn’t love to run, he does have a fondness for the other over-looked Hood Canal area, specifically the trails along the Hamma Hamma and Skokomish Rivers. Before you get your shoes on, know that many of the trails to amazing Olympic destinations require some work to get to. The trails to remote locations in the Olympic are tough, both mentally and physically. The trails will challenge your soul, but the rewards at the top, with breathtaking panoramic views, will leave you craving more. Battling loose dirt and scree, as well as sections of trails that gain 1000+ feet a mile over three or more miles, trail running in the Olympics can be much harder than most expect. Korey continued by sharing a story from a few weeks ago, when he decided to run a double up to Wagonwheel Lake from the Staircase Ranger Station. Wagonwheel Lake is considered one of the steepest trails in Olympic National Park, and few even try to hike it. Gaining 3,200 feet in 2.9 miles, the trail up to Wagonwheel is tough to do once in a day, let alone twice. After completing the trek, up and back and up and back, his quads were thrashed, causing him to hobble around, unable to run for three days. Running in the Olympics isn’t all about pain and pushing your limits. More often than not, the beauty of the wilderness will consume you, and the fresh oxygen from the rainforests will replenish your legs with each inhalation, letting you run for hours in the most spectacular corner of the country. Olympic also has runs where wildlife encounters are not just possible, but probable. 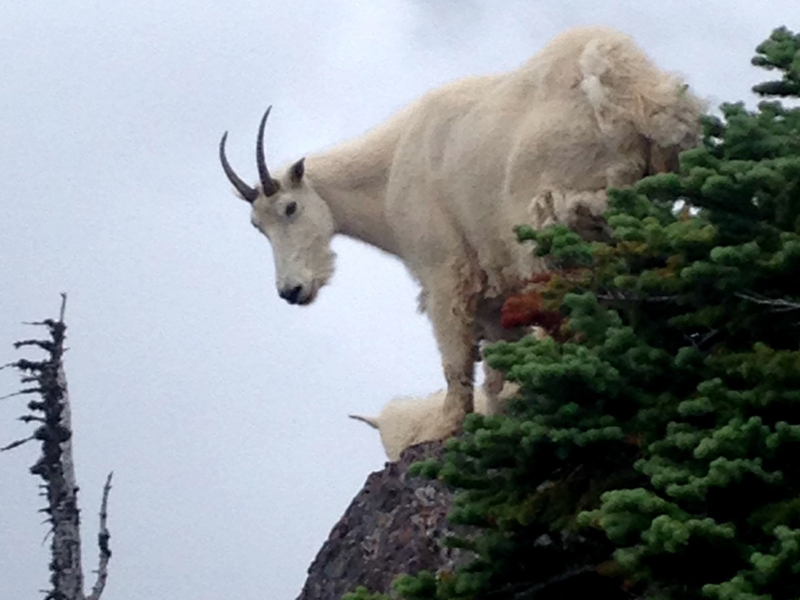 On his runs around the region, Korey has seen eagles fall from trees just a few feet away, been chased by a bobcat, and stood on the summit of a craggy peak next to mountain goats. With over 900 miles of trails to run, Korey still has a long way to go before he runs them all, but he's steadily chipping away at that goal. And with each step, his love for the region goes stronger. With each mile that passes, his footsteps no longer cut through the sounds of wilderness; instead they become part of the song.